All over the world, people use masks for different purposes: for ceremonial or religious gatherings, on stage to entertain, or to hide an identity. 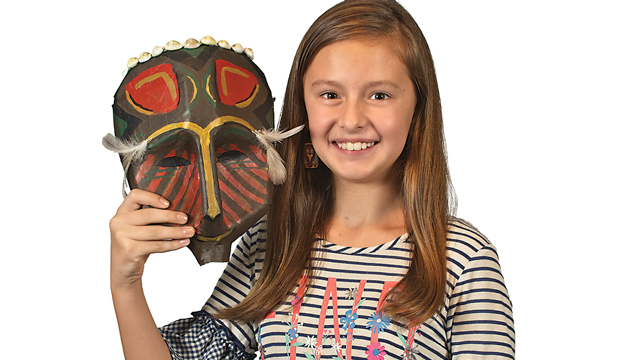 In the Congo Basin of Africa, masks serve all of these purposes and more and are a central part of the Congo culture. The Congolese used natural materials to construct their masks. 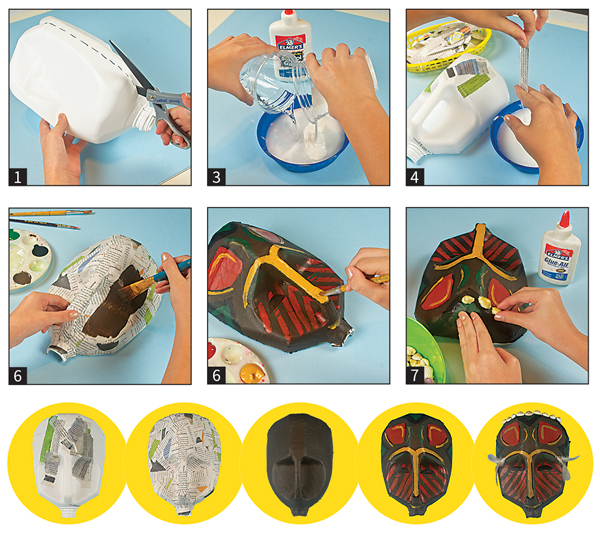 You can use materials you have at home to create your own Congo-inspired mask! 2. If desired, cut out holes for eyes and mouth. 3. 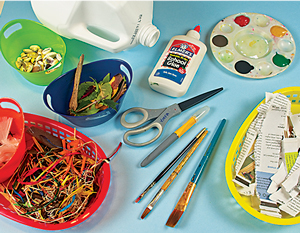 Prepare your papier-mâché mixture by mixing equal amounts of water and white glue. 4. Submerge one strip of paper at a time into your mixture. Squeeze off any excess liquid with your fingers, then place onto mask surface. Repeat until surface is covered. 5. Let papier-mâché dry overnight. 6. Paint mask using acrylic craft paint. Try using bold patterns or earthy colors in your design for a look that reflects masks from the Congo regions. 7. Once the paint has dried, glue on any additional materials you may have at home to adorn your mask. Try adding beads and string, or look to nature for inspiration and use decorative elements like grass, shells, pebble, or bark. Learn more about this African region and their rich masking tradition by visiting VMFA’s exhibition Congo Masks: Masterpieces from Central Africa, on view November 10, 2018 through February 24, 2019.